I haven’t forgotten how wonderful it was to have Heidi with my husband and I while we labored for 30 hrs until Emma made her entrance into this world. What I recall most is Heidi’s quiet confidence… she knows her stuff and I can attest to that. Heidi answered all my questions and gave my husband and I the confidence we needed to make the decision to try for a VBA2C. We did it! If you are considering a VBAC or just would like the comfort and confidence that comes from having a doula present at the birth of your little one, Heidi Duncan is your Doula! I’ve supported more VBAC clients in the past 4 years than I did in the previous 10 years combined. On one hand, that’s a wonderful thing, but in a sense it’s heartbreaking because about 1/3 of U.S. women give birth by c-section these days. 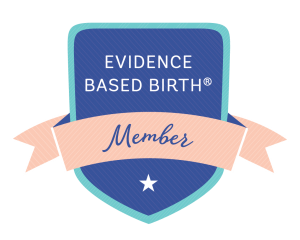 I’d much rather help a mom avoid a preventable cesarean the first time around and not have to face the uphill battle of a VBAC for every birth in the future, but I’ll keep pressing on to see those VBACs and VBA2Cs succeed as well. Are you wondering if a VBAC is the best option for you? Here are some resources to check out. Posted in VBAC and tagged c-section, cesarean, Nashville, nashvilledoula, Nashvillemoms, Vanderbilt, vba2c, VBAC.